In the FX markets, the fear of economic collapse appears to be long lost memory and investors are seemingly looking to more volatile markets to find their profits. The concoction of a (likely) stalling of Fed tapering and falling US rates combined with relative confidence in Europe, the EURUSD has had a great run. The market has jumped through two potential resistance levels and is currently trading at $1.3662. The bill passed to end the government shutdown has had positive implications for the dollar and induced a small relief rally. As of 00:00GMT, EUR/USD has rallied 20 points to $1.3535, a 60 point increase from yesterday's low. The confidence is increasing but will it last? After the previous day's losses, the US dollar gained some momentum on the news that an agreement was in sight and the debt limit might be lifted. As a result, even though one of three major ratings agencies could lower the US rating on sovereign debt, the EUR/USD pair fell to $1.3515. Data released on Monday showed that industrial production in the Eurozone rose by 1.0% in August, beating market calls for a rise of 0.8%. This lent some support to the euro, limiting the fall in EUR/USD to 0.5% and seeing the pair close at $1.3555. The US dollar was mixed against other rivals as currency traders continued to monitor news out of Washington. Rumours that the US government might re-open on Tuesday could breathe some life and volatility back into the forex spread trading markets. 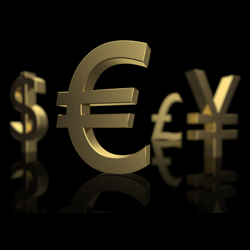 The euro/dollar pair weakened by 0.1% to $1.3563, slipping for a second consecutive day on the FX markets. This was primarily due to the lack of concrete outcome from talks between President Obama and House Republicans as both parties struggled to draft an accord that averts a US default.